Humpback whales are some of the most beautiful, intriguing and inquisitive creatures in the ocean and regularly top divers' bucket lists the world over. And with good reason. 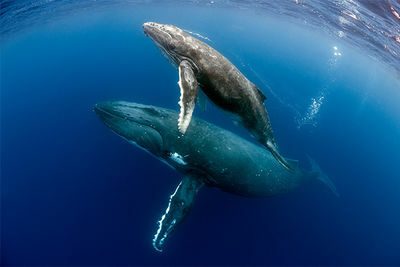 Whether witnessing the casual flick of a tail or a gravity-defying breach; the thundering thwack of a belly flop or the soothing songs serenaded during mating season; their playful interactions with pods of dolphins or the tenderness of a mother leading her calf, to see a whale in the wild, and on their own terms, is one of life's most magical moments. And while these graceful giants draw loops across the ocean, we've handpicked our top destinations for unforgettable humpback whale encounters. You wouldn't believe that just off the wild, western shores of Sal Salis Ningaloo Reef lies a rather busy commuter belt, that is, until you see the teasing lash of a tail from a passing humpback whale. 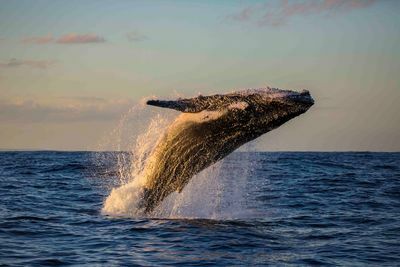 Travel to Western Australia between June and November and snorkel with as many as 30,000 humpback whales as they migrate north to Kimberley to mate and birth, heading back south to Antarctica in the later months to feed. 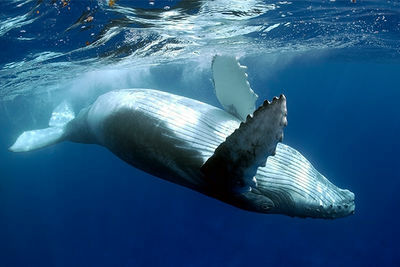 Did you know that humpback whales are the only baleen whales to fully breach out of the water? Witness these graceful giants corkscrew out of the ocean and belly flop back down, all from the shores of private island paradise Azura Quilalea, which enjoys a prime location along the migratory path in Northern Mozambique's remote Quirimbas Archipelago. Tahiti might be famous for its screensaver-worthy sunsets, idyllic beaches and glistening turquoise lagoons, but delve a little deeper, literally, for unforgettable encounters with all the big ticket animals. Departing with a marine biologist from the tiny island of Moorea in French Polynesia, swim with humpback whales and spinner dolphins out in the blue, and with a cameraman in tow there's no risk of missing the moment. Sail across the Caribbean aboard the luxury liveaboard Turks & Caicos Aggressor II, diving over coral encrusted walls and spotting marvellous marine life (eagle rays, jacks and more) before cruising into the deep blue to Silver Bank in the Dominican Republic to witness North Atlantic humpbacks court, mate, calve and rear their young. You don't so much seek out humpback whales here because they find you. 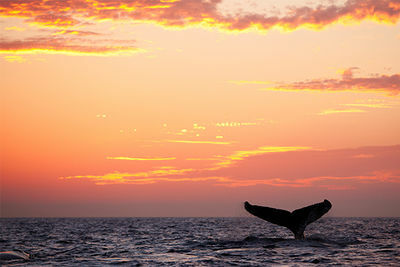 January to March sees the arrival of humpback whales in the Revillagigedo Archipelago from Alaska, and while sightings are not guaranteed, there are more than enough big fish to keep you occupied, from giant, swooping manta rays to up to ten species of shark. This is a very special trip. 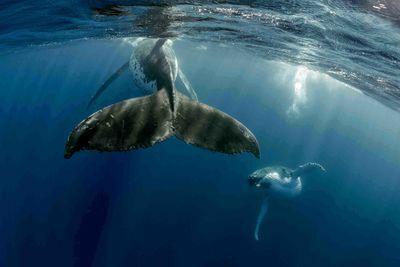 Want a humpback encounter of your own? Get in touch with our team today to start planning your next dive adventure.